Tengku Azian was in the investment banking sector for 18 years, with her last position as Head of Corporate Finance in RHB Investment Bank Berhad, a member of RHB Banking Group, the 4th largest fully integrated financial services group in Malaysia. With PEMANDU, she led the implementation teams responsible for the Education and Human Capital Development sectors. Tengku Azian was appointed as an Independent and Non-Executive Director of Sunway REIT on 11 March 2016, a Real Estate Investment Trust listed on the Main Market of Bursa Malaysia Securities Berhad, with total assets valued at RM6.43 billion as at 30th June 2016. Tengku Azian graduated with a law degree from the School of Oriental & African Studies, University of London. After her graduation, she obtained her Barrister of Law from the Honourable Society of the Inner Temple and was subsequently admitted and enrolled as an Advocate and Solicitor of the High Court in Malaya. 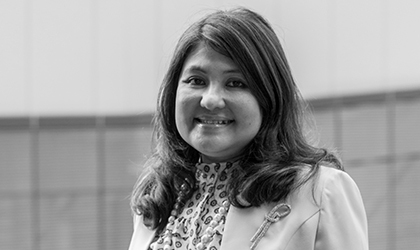 Tengku Azian was in the investment banking sector for 18 years, with her last position as Head of Corporate Finance in RHB Investment Bank Berhad, a member of RHB Banking Group, the 4th largest fully integrated financial services group in Malaysia.